At least the Nationwide is a mutual with a decent reputation but I am bitterly disappointed that the Government did not do more to keep the Dunfermline Building Society an independent Scottish mutual especially as the Government is partly responsible for its difficulties. One hundred and thirty years of trusted mutual tradition in Scotland doesn't seem to be valued enough by the Treasury. My concern now turns to jobs, branches and the HQ. If the Government was to force the sale of the Dunfermline Building Society it would be a betrayel of 130 years of mutual borrowing and saving tradition - and of the hundreds of people who work for the society. The Government has contributed to the difficulties at the society, through the 7.2m pounds compensation levy and excessive capital requirements, and therefore must accept some responsibility to save it. There is an offer on the table from the UK's building societies which would inject finance into the society so keeping mutual and independent. This is Gordon Brown's building society. He should step in. A solution to the problems at Dunfermline Building Society should involve a partnership between the mutual sector and the Government. And it must involve keeping the Society as an independent Scottish mutual. It would be unacceptable for the society to be merged with another society, to be taken over by the government or to to be sold off to a private buyer. It's important that we do everything to defend Scotland's biggest mutual. I can't believe that the Government thinks its argument against an immediate inquiry into the Iraq war has a shred of credibility. It's two years since the USA undertook their Baker-Hamilton inquiry and a year since our Prime Minister promised one - in the future. I've just left the debate on the subject in the Chamber. The Foreign Secretary praised our brave and professional troops but then proceeded to inform the House that they would be distracted by an inquiry. Indeed they are professional and wouldn't be so easily distracted. Something to hide? I think so. The mutual building societies have always been seen as safe and sometime boring institutions. Yet the government and its regulator seem intent on treating them the same as the more risky banks. For example, the Financial Services Compensation Scheme is a finance industry scheme to compensate customers in the event of an institution becoming insolvent. Because of the difficulties at the London Scottish, Bradford and Bingley and the Icelandic banks – all banks – the mutual building societies have been required to stump up £millions. Dunfermline Building Society’s share is £7.2m. This is not an insignificant sum especially during the current economic crisis and it has contributed to the difficulties at the Society. Why should the Dunfermline be paying for someone else’s difficulties when they’ve got plenty of their own to deal with? It’s perplexing that one of Scotland’s most trusted financial institutions is the subject of extensive reports about it's future. It’s clear that the Dunfermline Building Society is having difficulties but the Society is refusing to or can’t say what the extent of it is. My objective is to keep the Society as an independent Scottish mutual. I met with the Scotland Office Minister today and Ming Campbell and I are planning more meetings next week. “Paying through our nose to lose our freedoms” was the line of our Scottish conference in Perth. Tavish, of course, was referring to the introduction of the government’s ID card scheme which is a waste of money especially during a recession. His ‘up and at ‘em’ approach to politics was in abundance during his first leader’s speech to the main conference. We had a buoyant weekend as we celebrated our coming of age. Twenty years since the merger it’s hard to believe how far we have come. It was great to hear from Bob Maclennan, our joint party leader in ’88, who made well composed speech spiced with the regal and passionate. 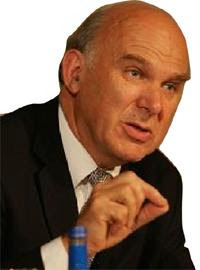 But we also celebrated Vince Cable’s stunning performance throughout the recession. Vince has an incredible ability, in his measured style, to encapsulate the issue in a single phrase. Referring to RBS and Scottish independence he said it would be like a bank with a country attached such were the relative sizes of the two. All in all a good effort which will set us up well for George Lyon’s Euro Election in June. Yesterday I joined Ann Cryer, MP for Keighley and Ilkley, in calling for a a reduction in the charges imposed on building societies by the Financial Services Compensation Scheme. Because of the failure of Northern Rock and other high risk banks, the scheme has increased its charges to cover the cost of their failure. But because building societies, like the Dunfermline Building Society, have a lot of savers they have been charged a disproportionate fee. The scheme puts far too much weight on the value of the deposits than on the risk nature of the organisation. My mother and father, who are in their seventies, receive a discount on their insurance because they are deemed safe drivers and those who are deemed a higher risk, those who have frequent accidents, have to pay higher premiums. It's about time this sensible logic was applied to the Financial Services Compensation Scheme. Why has it taken fifteen months for the MOD to decide that the Nimrod aircraft are not safe to fly after all? 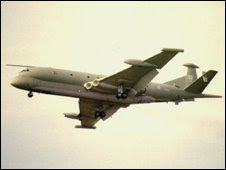 The Defence Secretary in December 07 announced the findings of the RAF board of inquiry but allowed the Nimrod to continue to fly. In fact why has it taken two and a half years since the crash which cost the lives of fourteen servicemen for that to be determined? These aircraft were unsafe to fly with aviation fuel washing over a hot pipe but because of the pressure to support the troops on the ground with air surveillance the planes were flown. It's about time the MOD realised that they should not turn the can-do ethos of the armed forces into make-do. Turn in or look out? Turnout in European elections has been traditionally very low but with the five yearly polls only three months away this time they have an added significance on two fronts. Firstly, people are angry about Labour’s recession. They’re likely to take this opportunity to send a message to my constituent about this mess. With Vince Cable providing sound leadership on economic issues I would suspect that many will choose us as a vehicle to send that message. Secondly, there is a strategic decision to be made about the future direction of the nation. While the country is in recession do we turn in or look out to seek solutions? The Tories and SNP are clearly on the isolationist side of the debate and whilst outward looking Labour have preferred to blame other countries rather than work with them. I usually love elections but June 4th I suspect I will especially enjoy. Even though it has been a rocky road from within weeks of his elevation, my constituent (that's code for the PM) has shown this week why he's on his way out of office. The Labour Party, him included, have been devoting considerable effort to the punishment of bankers, especially Sir Fred Goodwin. They’re right as their poor judgement has partly led to this economic crisis - and his pension is an insult. Yet many have rightly detected that the comrades' actions were diversionary in nature to avoid the spotlight being shone on the contributory role of my constituent. However, the spotlight has shifted and it is shining directly into the eyes of my constituent. Yet unlike Sir Fred he's not even said sorry. He stumbled, looked left, then right and snatched a t an apology over the 10p tax rate fiasco - something which has nothing to do with the economic crisis. I'm not sure why my constituent believes it is right to blame the rest of the world for all the problems on his doorstep but refuse to accept any responsibility himself. He used to boast that he was leader of the fourth largest economy with great influence and power yet now we learn he is the victim of a global bully. If only he had listened to Vince.